ND: Please tell us about the details of production for the original protagonist characters, Shion/Rowan and Lianna. Usuda: The flow of recent Fire Emblem games have been about being able to choose the protagonist, haven’t it. ND: Yes, with My Units / Avatars. Usuda: Yes. That’s why we really wanted to have character customization. Hayashi: We really wanted to do it from My Units / Avatars, but since we also want to add a lot of video scenes, we gave up on that. If you could edit the protagonist, they couldn’t appear in the cut-scenes, and most of the scenes would have to be done from a first-person view. So we decided to properly create the protagonists instead. Usuda: Other than that, Fire Emblem has been widely played by both males and females, and they have their own different ways of enjoying it, such as building relationships between characters of the same or different gender. That’s why we ultimately settled with creating male and female protagonists. ND: How about the designs themselves? Hayashi: It took a lot of time. Since they are protagonists they would become the Lord figures of Fire Emblem Warriors, we did think to make them look like Lords. Usuda: Having said that, if the designs were to be inclined towards another title it would be strange, so at first we created many images to prevent that from happening. Hayashi: And when we fully lined up those images, we thought ‘Blue is a fierce battlefield indeed’ (laughs). ND: It’s because blue is some sort of a color that symbolizes Fire Emblem. Usuda: We couldn’t omit blue as an accent, but if they were dyed with blue they would get buried. So we based the Lord designs on Gold and White while including some Blue elements so that they wouldn’t conflict [with other Lords]. ND: Was the design being done within the company? Hayashi: Yes. Since both Awakening and Fates are in, there are a lot of characters designed by Kozaki Yusuke-san coming out. So as a basis, we intended to gather them to become pictures that don’t look too different from them. However, in Heroes, there are also protagonists of siblings based on gold. Hayashi: They told us ‘Hayashi-san, your team also did it with gold, huh! ?’ (laughs). That’s why we revisited the designs, and we made some adjustments to them like changing their hair color. Usuda: Although the changes were quite hectic, I personally am very glad that we could match up with the original team. Like, our minds think alike! ND: How about the character settings for Shion/Rowan and Lianna? Hayashi: Although the stories of Fire Emblem’s protagonists are said to be about them growing up as Lords, they’re still commanding everyone else, aren’t they. That’s why there are many characters already composed from the beginning, right? But the protagonists of Fire Emblem Warriors are going to command veteran heroes, so the image of them shouting ‘I’ll do it!’ with the likes of Marth and Chrom following behind them didn’t feel quite right to me. So there we made them to be younger than those heroes, and while they’re growing from youths to adults, they would be aided by the heroes. Usuda: That’s why it begins from a childish situation of ceding the throne to each other. From there they will undergo steps to grow up. ND: The fact that their seiyuus (Japanese voice actors) are the Uchida siblings is also becoming a topic. Usuda: Actually when we were casting voices for the twin sibling protagonists, it was not really for creating [trending] topics. When we chose the seiyuus, we had them speak the quotes as voices for audition. We selected them by purely listening to the voices. I think it’s good that the result is becoming a topic though. ND: Would you please also tell us about Yuana and Darios? Hayashi: They’re going to be related to the story, so we still can’t talk in detail yet. But we’ve created the story while receiving many opinions from Intelligent Systems as well, so please look forward to it. Usuda: We’ve written the story so that it won’t feel out of place with the mainline Fire Emblem series. Regarding Yuana and Darios, just having the twins wouldn’t be quite enough to depict a Fire Emblem-like story, so we added them as if to draw a backbone. Hayashi: After all the twins are royals, so if their parents didn’t appear we couldn’t add more depth to them, so we created these characters. Hayashi: We’ve created this game while always thinking about what Fire Emblem fans desire, so we think this should be satisfactory. 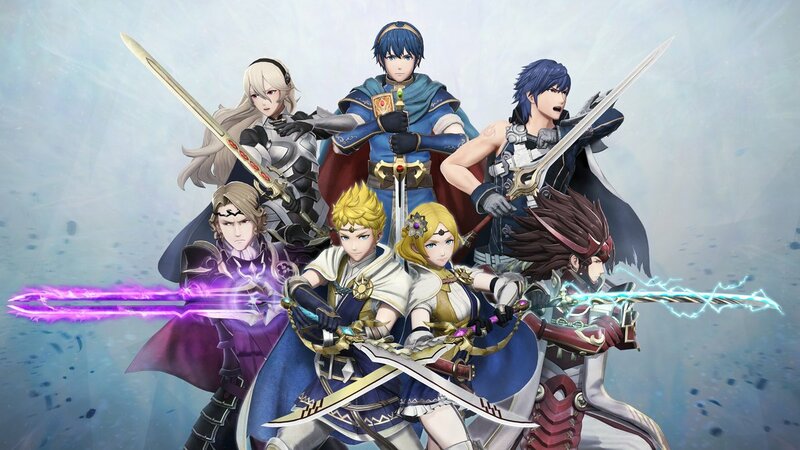 If you’ve played Fire Emblem Warriors and get to like characters you haven’t been acquainted with before, there will have been even more of a reason for us to have created the game. And also for those who don’t know about Fire Emblem, there are a lot of appealing characters appearing, so I think you’ll definitely get to like someone here. We will still announce a lot of characters up until release, so please look forward to them. Usuda: Fire Emblem Warriors has been always a Warriors game for Fire Emblem fans from the start, and we’ve decided to create it for people who have always played Fire Emblem. Homages are being spread all over the place, including the [gameplay] system. Also, in order to make this enjoyable by people who play Fire Emblem but aren’t good with action games, we’re creating this so that it can also be played easier and more casually. This game will be playable even if you don’t know Warriors/Musou, so please feel free to try it out. Massive thanks to BlackKite for helping with this translation!